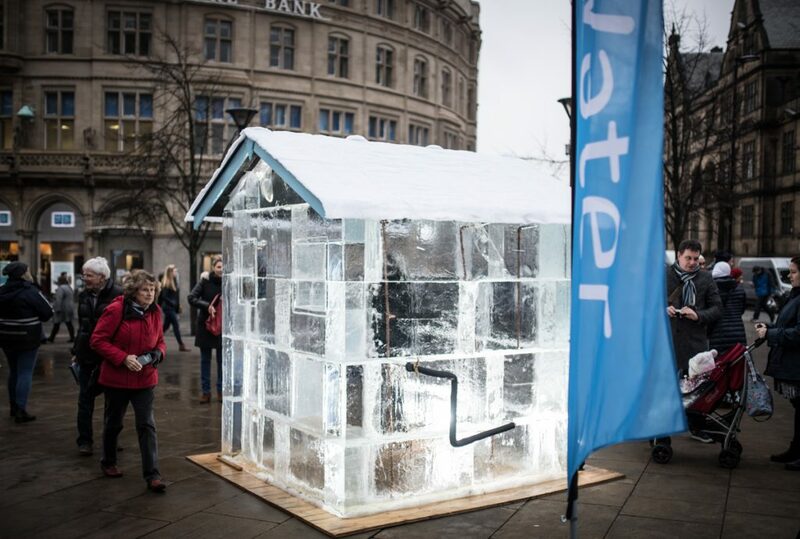 With the weather becoming colder, Yorkshire Water invited us to create a house made from ice, just over 2.5 metres tall. 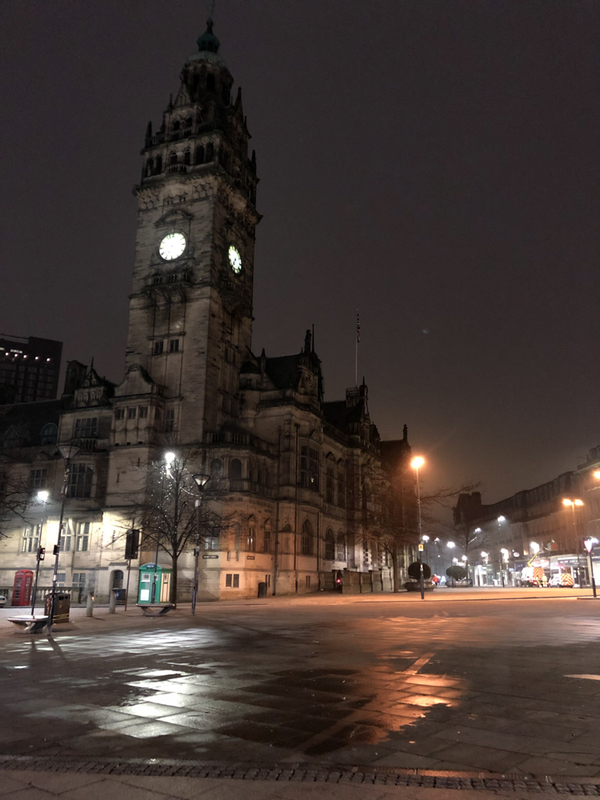 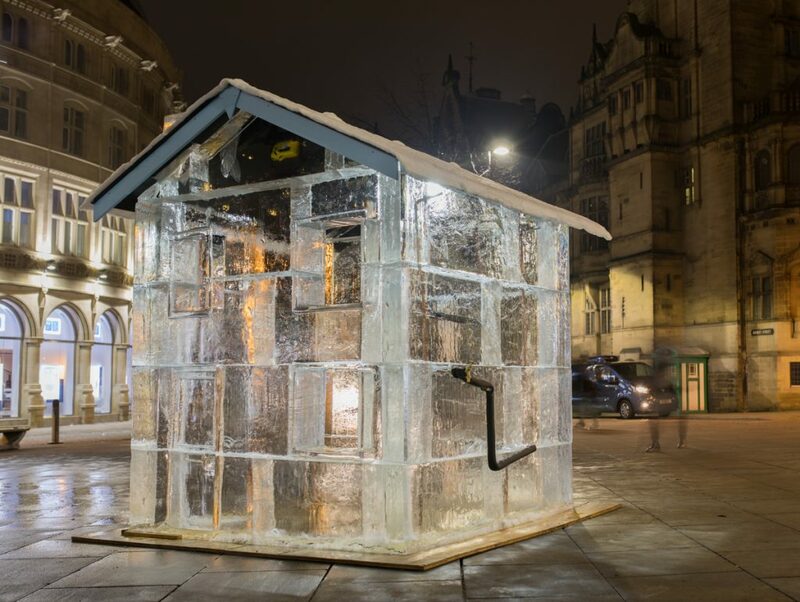 The 4 tonne ice house sculpture was created in under 8 hours – in Fargate, a busy pedestrian area which lies in the heart of Sheffield’s City Centre. 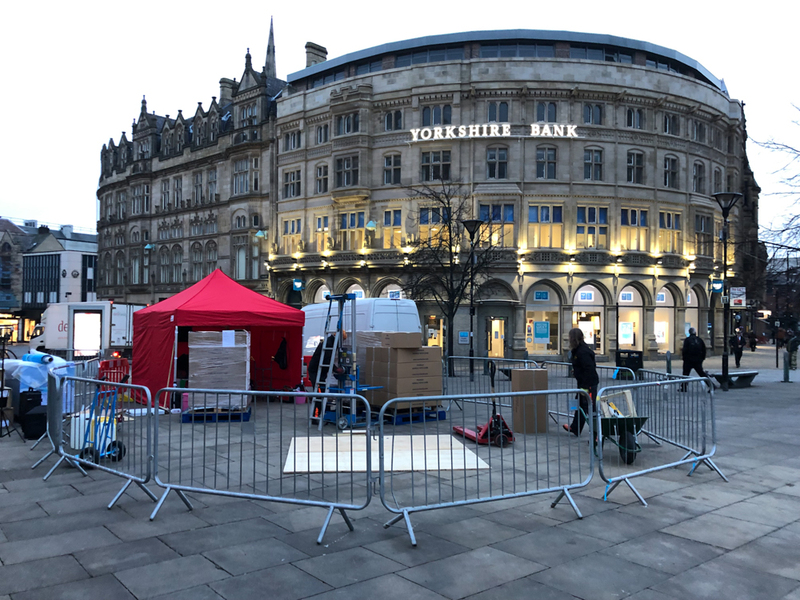 Hundreds of curious people travelling through the city stopped to watch the house being built. 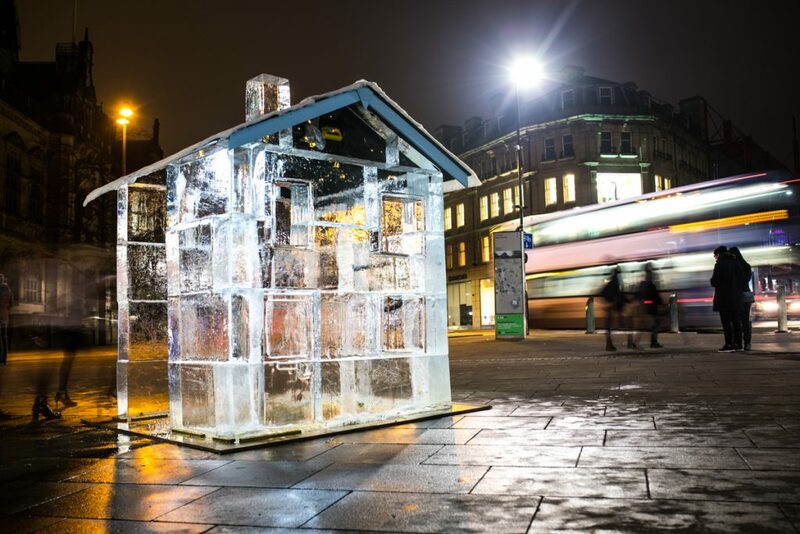 Myself, Jamie, Mark and Hannah created the ice house from 30 blocks of ice, each weighing around 125 kg. 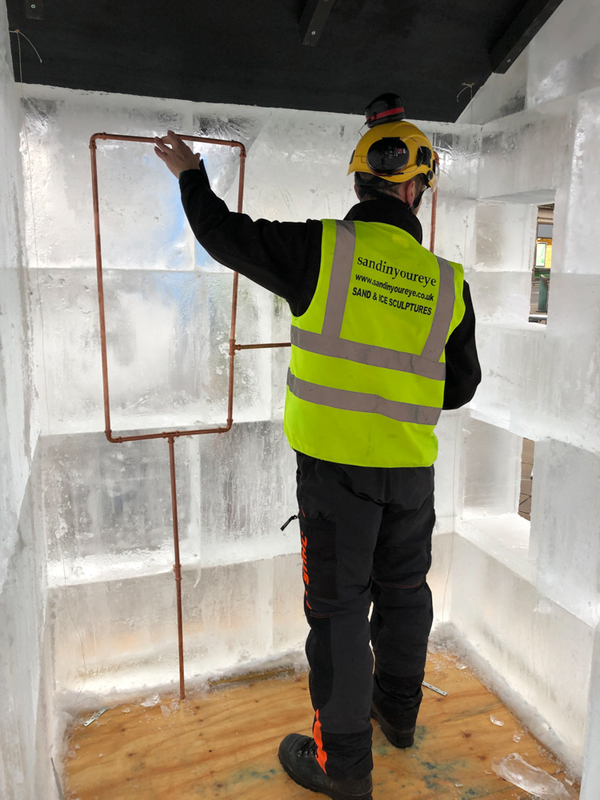 The house even came fitted with some copper pipework which Yorkshire Water representatives used to show how important it is to lag pipes to prevent them from freezing over the winter period. 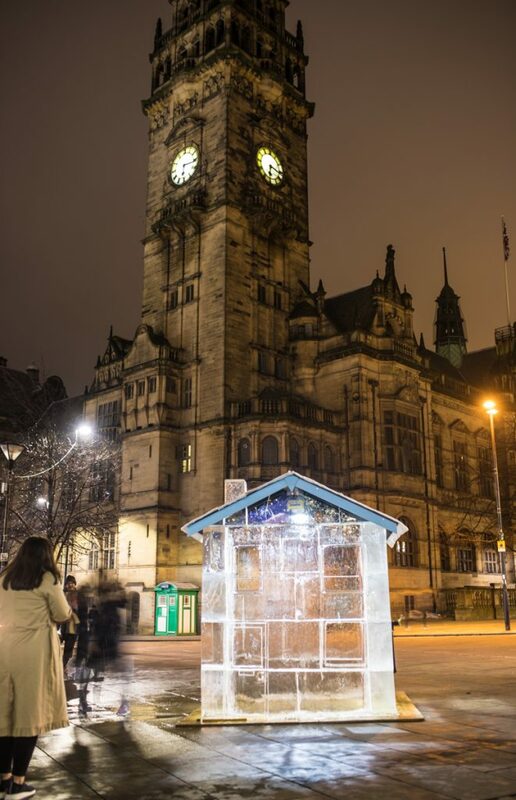 Their staff were on hand to answer questions about their ‘Winter Ready’ campaign. 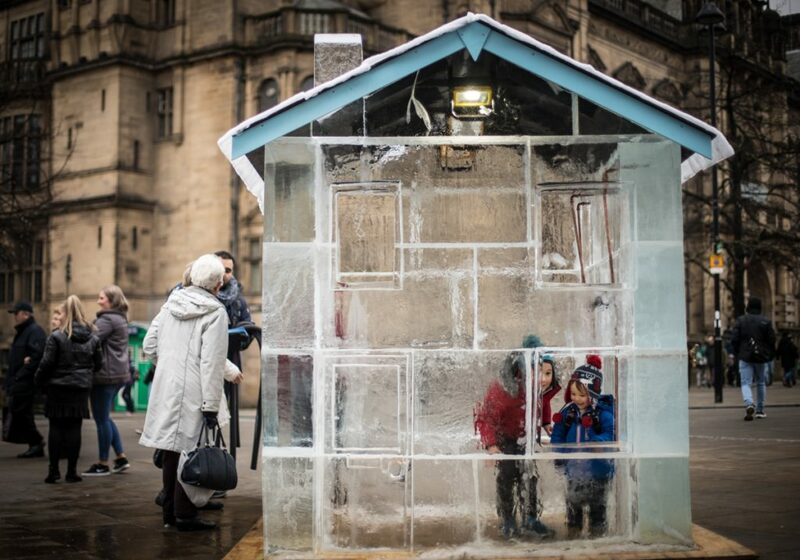 Lots of people wanted to have a selfie in the Ice House, both adults and children. 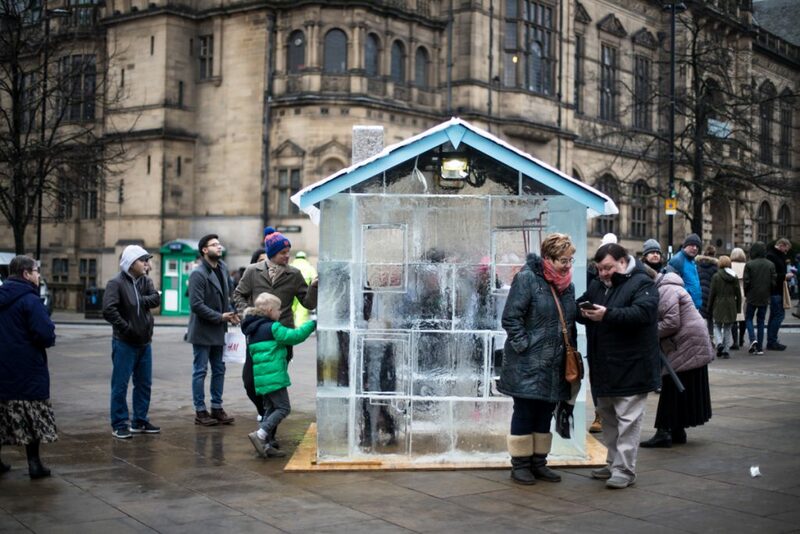 And it was a good opportunity for Yorkshire Water to raise awareness of issues caused by cold weather on water supply. 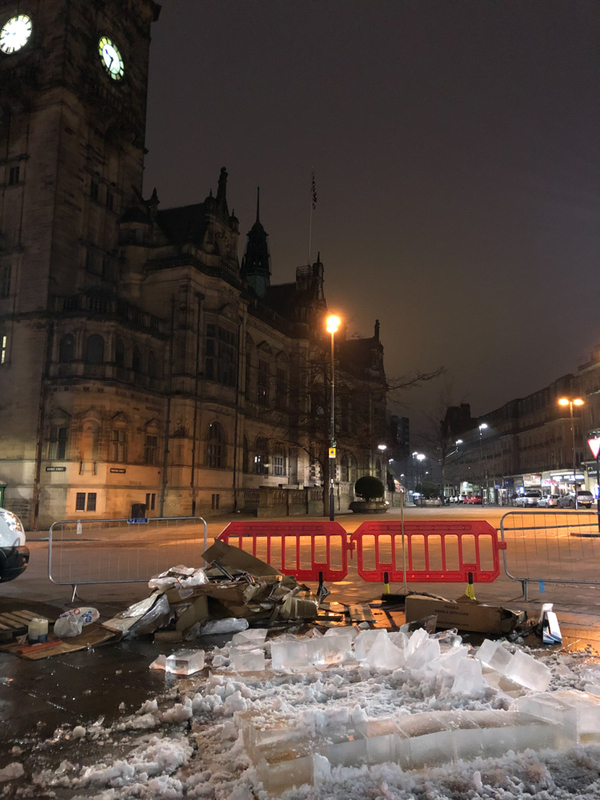 The Ice sculpture attracted more attention on Saturday before being cordoned off, dismantled and removed by the Sand In Your Eye Team that evening. 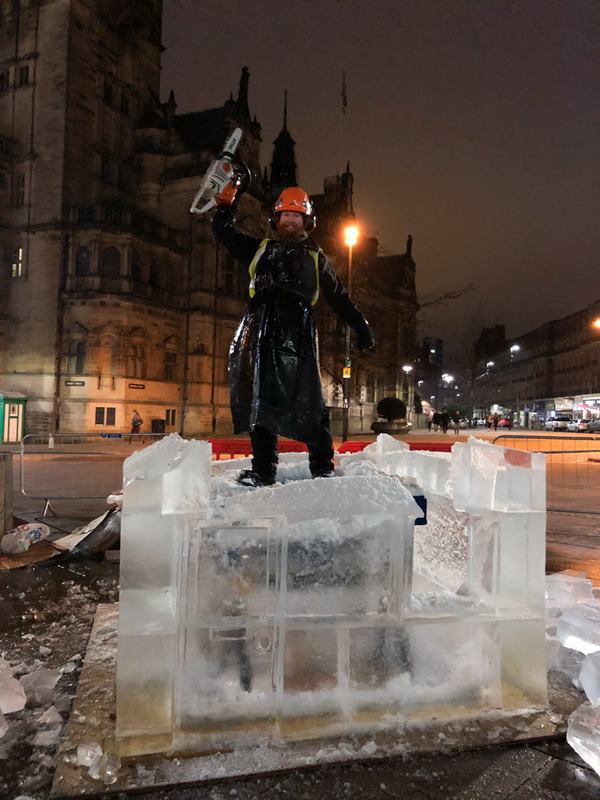 Saturday night revellers were sad to see it go, but with this size of ice sculpture, the ice house would have lasted for days. 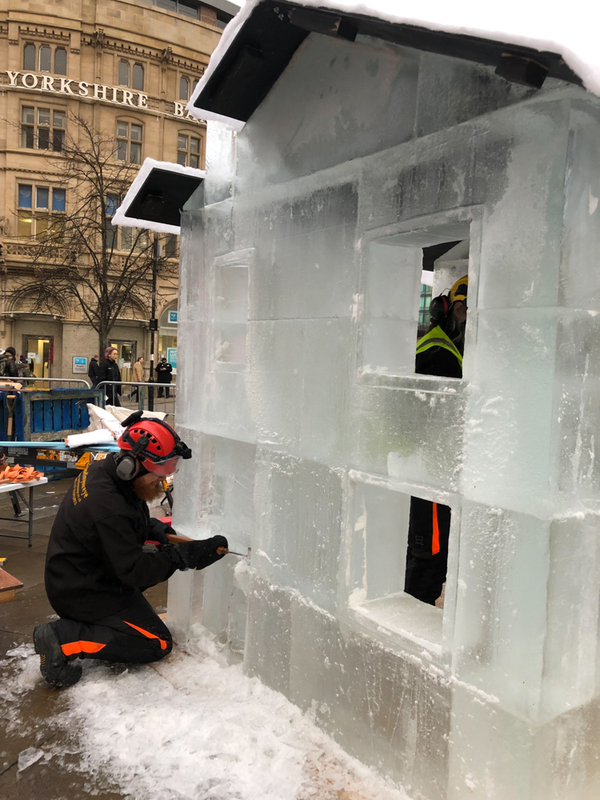 As the city sprung into life on Sunday morning there was nothing to be seen, and not a single trace of the Ice House remained.